Some mash-ups seem more fitting than others. 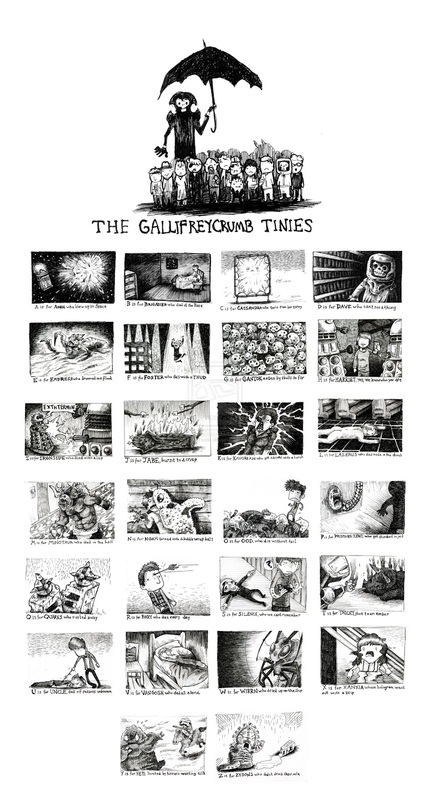 This one, by Deviant Art user Eat Toast, combines the concept and aesthetic style of Edward Gorey's The Gashlycrumb Tinies with Doctor Who, to create a spooky alphabet featuring some famous and infamous deaths from the sci-fi TV series. Gorey's book, of course, depicts the weird and creepy deaths of children, so it's not quite as perturbing as that, but a nifty idea all the same.